While getting married is expensive, getting a divorce can cost you a big fortune. The end of a marriage can be a stressful experience. If you are considering a divorce, then the first and most important questions that pop out in your mind would be “How do you find an affordable divorce attorney?”. Knowing the secret to choose the right divorce attorney who can provide you with legal advice, at an affordable price, is not an easy task. There are several ways of getting divorce cheap if you don’t rush through the entire process and commit costly mistakes. If you really want to get divorced cheap, you should look for an affordable divorce attorney. No matter whether your divorce is incredibly simple or tricky, you should not try to do it without an experienced divorce attorney. 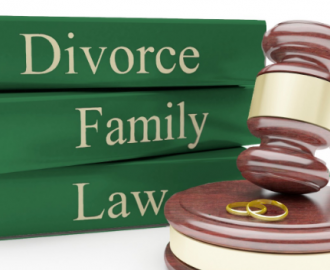 An experienced divorce attorney will be able to find the right solutions to all your problems during the process. Additionally, you can avoid making silly mistakes when you an attorney on your side. There is a lot of documentation required when it comes to divorce. And, it’s importantly crucial for the divorcing couple to have all of it organized and prepared. In order to get everything organized beforehand, the first important thing you should do is to write down important details and making copies of all your financial resources such as credit card accounts, bank accounts, insurance policies, jewelry, tax returns and more. Organizing all the financial documents can help you save both time and money. Plus, you will also get a clear idea of your financial situation. This is a must in all matters. A good divorce attorney cannot help you have an affordable divorce if you are not completely honest with him or her. Remember that surprises can cost you a huge amount when it comes to the divorce process. That’s why providing your attorney with all the important information and details is crucial and help ease your divorce process. Divorce is a daunting situation for every couple, but it should not affect your budget. You can cut the cost of your divorce by limiting the number of silly issues you and your soon to be ex-partner disagree on. Communicating with your spouse is the best way to keep a divorce affordable. Try to reach a mutual agreement with your spouse about the child custody matters and division of assets and spousal property. It’s quite hard for many divorcing couples not to get passionate and fight during the divorce process. Conflicts and arguments during the divorce process can extend your expenses, so the more you stay cool and calm, the lower your legal and court fees will be. Breaking up with your partner may be as costly as it’s frustrating. Fortunately by following the above-stated ways you can minimize the damage of your divorce has on your budget.